An integrated industrial energy audit would necessarily have to look across the various energy efficiency offerings including complementary options. Along with the big energy saving opportunities, industries, depending on their particular needs, can complement their strategies with other options such as the Save A Watt HD. This device can be programmed with ON/OFF periods so you can automatically shut down your appliances such as electric water heaters, when they are no longer needed for a specific process, saving you electricity and money. In addition, the Save A Watt HD can help you protect a range of non-critical equipment from over temperature and harmful voltage spikes which will end up extending their life, and delaying the need for a replacement. The Kill a Watt® Control can also be a tremendous asset to the industry. 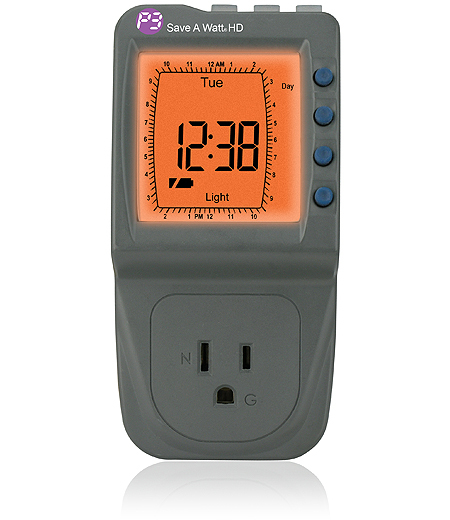 This device not only combines the benefits of traditional mechanical and electronic timers, but it also tracks electricity consumption and provides surge protection.